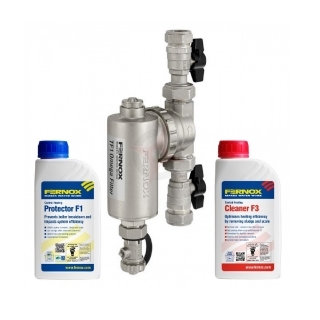 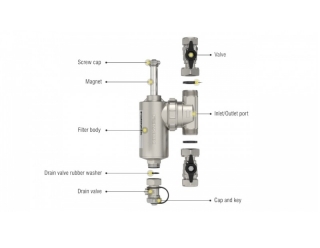 Designed for use in small rescricted spaces the Fernox 22mm TF1 Omega filter is a precision engineered filter, and comes supplied with quality valves or slip connection. 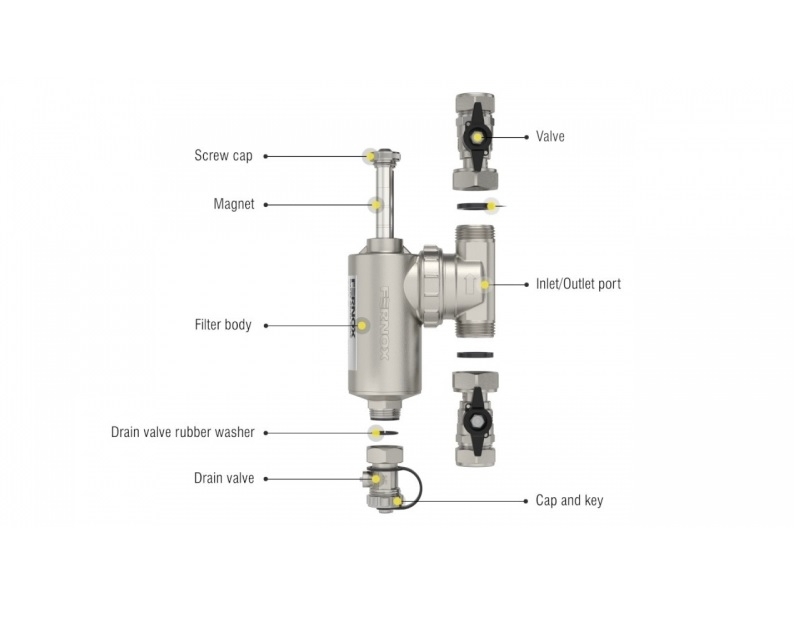 The TF1 Omega is also easy to fit, clean, and dose in 30 seconds with Fernox Express. 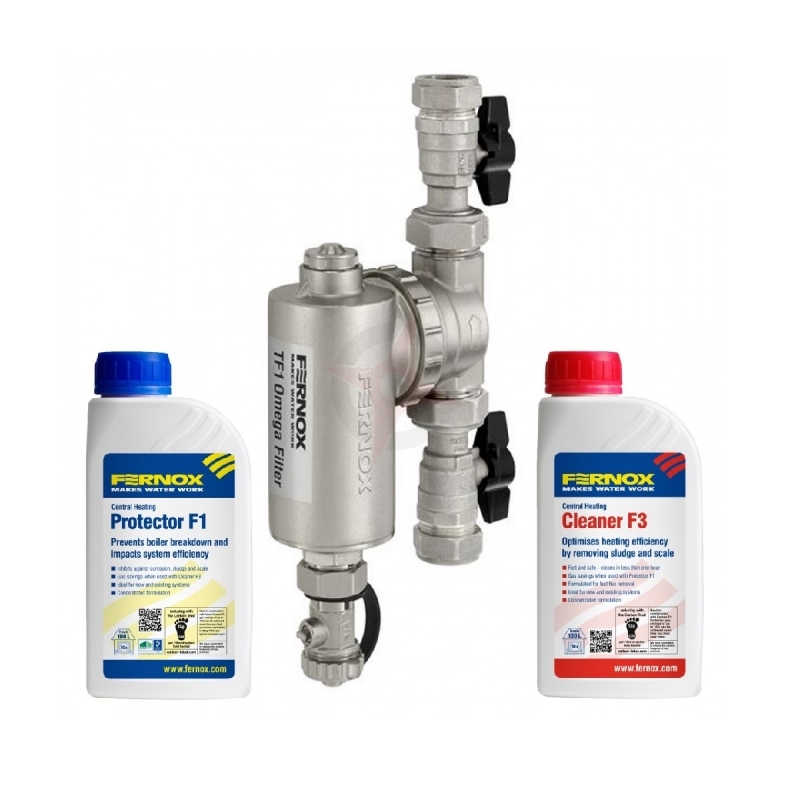 The TF1 Omega Installers Pack comes complete with two chemicals, comprised of a 500ml bottle of F1 Protector and F3 Cleaner.